* Stars - "Set Yourself on Fire"
* Rogue Wave - "Descended Like Vultures"
* Wilco - "Kicking Television: Live in Chicago"
* Ben Folds - "Songs for Silverman"
* Sufjan Stevens - "Illinois"
* Fiona Apple - "Extraordinary Machine"
* Wolf Parade - "Apologies to the Queen Mary"
* The National - "Alligator"
* Bloc Party - "Silent Alarm"
* Sleater-Kinney - "The Woods"
* The Decemberists - "Picaresque"
* Death Cab for Cutie - "Plans"
* Feist - "Let It Die"
* Ryan Adams - "Cold Roses"
Thoughts? Comments? Any "if you like this, you'll like this" sort of suggestions? A new Mates of State tune emerged right before the holiday. It's from their upcoming CD. Thanks for the link DirtyPop. Sounds good. Not groundbreaking, but good. 2Poppy's beloved Mandy is turns 21. Men.Style.Com online has a very brief interview. What do you do after your band is put on semi-permanent hiatus because three albums only produced one hit? Everything. Members of Semisonic are ridiculously prolific since putting the brakes on the band best known for Closing Time. Drummer Jacob Slichter wrote a great read on the Semisonic story and the burdens of high expectations in the music business. The unfortunately named So You Wanna Be A Rock & Roll Star is a must for anybody who's wanted to know how a band grows, hits, and sputters. Bassist John Munson has a few music projects currently underway. The most recent is The New Standards, a jazz trio that just released a CD full of curious covers. Consider this the jazz version of the Moog Cookbook. He's also in a band, either called The Flops or The Dark Nights (with Matt Wilson, Dan's brother). I don't think that's quite finalized, although The Flops already have released music. Finally, Munson is evidently a student of Chinese traditional music, although, I'm not quite convinced that's legit. 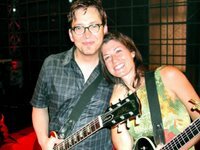 Guitarist and chief songwriter Dan Wilson is not taking a break either. The most talented member of Semisonic (in my opinion) has produced, written, and sung with others (including Glen Phillips of Toad, Mike Doughty of Soul Coughing, and even the Dixie Chicks) over the past couple of years. He's also had time to record his own original music, and evidently, his new CD will be released under the Warner/Reprise umbrella sometime in spring or summer. And don't forget where they got started: Trip Shakespeare. Great! I'm tired of hearing all about the Flaming Lips without hearing any decent new music (soundtracks, blah; covers, blah). So much buzz and their new album is finally coming out in April (wait, April?!?). Damn, I guess we're stuck with music-less buzz for a few months. At least there will be a new song released on January 10 and a newly remixed DVD of their classic Soft Bulletin on January 31. In the spirit of the holidays, Splitsville has made available a free download of their version of the Who's Our Love Was. Enjoy, and merry holidays. 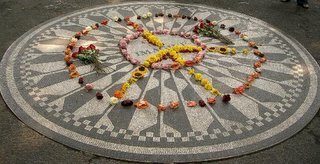 Just a reminder, a week and a half ago or so Amnesty International released some digital download covers of classic Lennon tunes for its Make Some Noise initiative. I have yet to download any of the tracks but The Postal Service and The Cure sound very interesting. Snow Patrol's version of Isolation seems a bit disappointing, but keep in mind I've yet to hear the whole thing. iPod fans: annoyingly, these releases are .wma files, which means you'll have to figure out a different way to get them on your preferred music listening device. If anything, it's a good cause at the right time of year to be thinking about good causes. Am I the Sentimental Favorite of the Day? Three Wishes has been cancelled. Three Wishes was that cheesy show that granted three wishes to somebody. And Amy Grant was the one who granted those wishes. Get it? Grant? I'm shocked it's cancelled. Owsley has been in contact with iTunes and they are excited to get some more singles coming our way, probably in January. They have talked about releasing “Mess With Me” (yeah!) (Ed. note: Mess With Me is only available on the Japanese import copy of his first CD, an excellent, grammy-nominated collection of power pop), possibly the Cars tribute song he did plus some song we have yet to hear! While working on other projects (below) Will continues to write and record in his studio, so by no means has he totally shut the door on his solo work. He’ll be in LA next month and is working to line up an acoustic gig while he’s in town… we’ll post any info when it’s nailed down. I just don't think Weezer matters anymore. Distractions like this certainly don't help matters. Sometimes, rarely actually, individual personalities grow bigger than the band and it works (think Time's Person of the Year Bono), but all too often, especially when that person desperately wants to be bigger than his band (think Rivers) but doesn't have that kind of Bono-charisma, it ruins the whole damn thing, including the music. Just stop it. Here are some more details on The Elected's new release, coming out on January 24. The Elected is a "side project" of a primary member of Rilo Kiley, although, in their world, what makes a side project? All those indie artists are in one way or another involved with some other indie band, which inspired me to revisit liveplasma to explore all the connections a bit further, but unfortunately, they don't even have The Elected in their database. Still, checking out Rilo Kiley is interesting. Want to put lyrics in iTunes or your iPod? You better do it quick. The recording industry is now starting to go after lyric sites. God, yes, another Paul McCartney post. I'm sorry. It'll die down after awhile. He must be short some cash because he's pushing a lot of product this year, and I had to share this one. He's made available a few vinyl copies of the original Russian printing of Choba B CCCP. 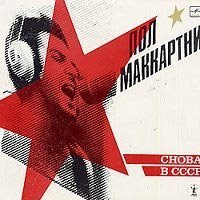 This was an album of oldies he did back in 1988 that was exclusively released in the Soviet Union until a version was made available in the US a few years later. It was ridiculously collectible in those few years it was not available here, and now you can get a legit copy of the original thing. It's a very cool gift idea for any Beatles collector. I'm not a big fan of covers and oldies and crap, but this is certainly some of McCartney's best work. Super-rare Todd The Wet Sprocket Song available for download. All I'll Ever Need was recorded live in Athens, GA back in 1991. You always get so excited when you hear about a great band "regrouping" or "reuniting." So naturally I got excited to see the Smiths were "regrouping," albeit for temporary purposes. Not so much. Without Morrissey, there can be no Smiths reunion. But really, do we want to see a reunited Smiths? Can't we just keep their dreadfully moody music as a recurring memory of our teenage years? That's where I prefer to keep it. Anybody got any razorblades? On March 6, David Gilmour is coming out with his first solo album in over 20 years. I think I'm more freaked out that 1984 was over 20 years ago than I am excited that my favorite member of Pink Floyd is releasing new music! Snow Patrol will release Eyes Open in April. Hopefully, there will at least be another cool tune like Run. Why do I make myself vulnerable to criticism?! Sigh. In the spirit of the mantra of this blog ("just pop music"), and the idea that we're not trying to pass any hipster tests, I pass along information about - gulp - the Dixie Chicks. I'd be happy to expand upon my thoughts on why they are too poppy material, but not today. But I do think there's potential in working with Rick Rubin. His work with Johnny Cash revived his career. The Chicks could use some raw edge that he might apply. Viva Voce anyone? They're new to me but descriptively sound similar to MoS. Very cool. And very cool news about a new MoS album too! Very interesting. Just received an email from the Sarah McLachlan list (see below). Obviously, her new CD is one of those offensive Sony BMG pieces of crap. A little good will (if you can even call their disingenuous message good will) a month after this controversy exploded is way too little way too late. Idiots. About has a BBC listening guide for other goodies. 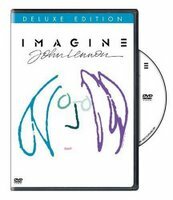 And somehow, the excellent documentary Imagine: John Lennon, which was released theatrically in 1988, has finally received the proper DVD treatment to little fanfare. This is an incredible look at his life and would be a proper way to honor his legacy. Paul McCartney continues to milk his new album for all it's worth. Now, you have a chance to remix bits and pieces of his new tunes. Cool idea, I just never thought of remixing Paul McCartney. But, you could win his signature and your remix on a disc, which would be a very cool one-of-a-kind McCartney momento. Oasis is coming back to North America in the new year. Dates are slowly trickling out. Oasis is one of the more divisive bands in music. Most people seem to hate them for the very reason why they were so successful in the first place: sounding like the most derivative band ever. After the significant success of What's the Story, Morning Glory?, Oasis was really in a catch-22: do more of the same and continue being successful while alienating the cool kids, or try to get cool. They tried to get cool for a couple albums with shaky results. Their last couple releases have been surprisingly consistent with their early material and I invite (nay, challenge) you to revisit Oasis. Saw them in Minneapolis during their height of popularity and was not disappointed (although I was almost killed by black ice on the way there, but that's another story for another blog). WHAT THE HELL?!?!? Yoko Ono is off her frickin' rocker. 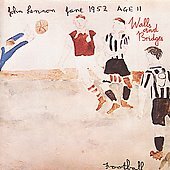 Evidently, John Lennon's underrated (and one of my favorites) Walls and Bridges was recently reissued with some substantial changes made by that -- that -- that -- thing. Why must people mess with the original product, particularly under the guise of finally released remastered versions (not unlike Paul McCartney's misguided efforts to change the order of Beatles songwriting credits)?! It is unacceptable to mess with your deceased husband's choice of artwork, but that is nothing compared with changing his music!!! Holy god this woman is atrocious. Related: Evidently that woman has just released a new version of one of the tunes from Double Fantasy in order to advocate for gay marriage. You can find it on iTunes. I won't link to it. Not because I'm against gay marriage. That's irrelevant. I'm against her. One final note: I was checking out Pat DiNizio's website (he of Smithereens fame) when I came across this news. Just so you didn't think I'm up late at night reading FOXNews. Last night my local NPR station (KUNI for those who care, Mark Simmet rocks!) 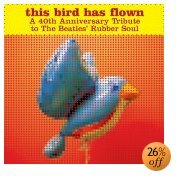 played Low - Nowhere Man off of the THIS BIRD HAS FLOWN: A 40TH ANNIVERSARY TRIBUTE TO THE BEATLES' RUBBER SOUL. I like it. I like it more than most Low. I'm hot or cold with them. I know several of the too poppy readers are bigger fans of the Beatles than I. What do you think? Salon.com's Audiofile had this as their daily download the other day. There's more. Much more. But this many good songs in one four hour stretch rules. Now I feel guilty. I need to pledge. Guster is taking over this blog. Guster suggests renaming it Too Guster. Guster is getting a big head because Guster's new tune, available on iTunes, is quite delictable. Guster embraces piano pop! Guster hearts pop. Me gusta Guster. Oh yeah, Guster is now on MySpace. Who isn't? 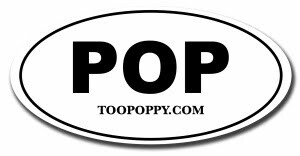 Too Poppy ain't. Maybe soon. UPDATE: You can now visit myspace.com/toopoppy to find out I'm a pisces. Wow. Get this... Get this... I will be warm again. 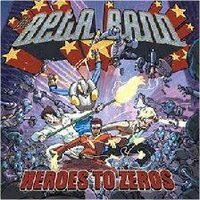 I can't get enough Beta Band. While painting my porch I put the song Simple on repeat and listened to it for an hour. Maybe that's too much for you, it isn't for me. If you aren't intimately familiar with them, change your ways. Simple is on their fourth album Heroes to Zeros. Buy it, here's a link to Amazon, that seems pretty easy. If you need to hear a sample listen to it on iTunes or you could probably download it here at Veritas Lux Mea. I don't hate my friends.